LMCA occlusion: High incidence of cardiogenic shock, need immediate PCI +/- CABG, not tPA. LAD-D1 occlusion pattern: Highly predictive (89% PPV) of anterior wall MI. Posterior wall MI: True STEMI, can be easily missed if isolated (ECG #3). May get leads V7,8,9 for confirmation. 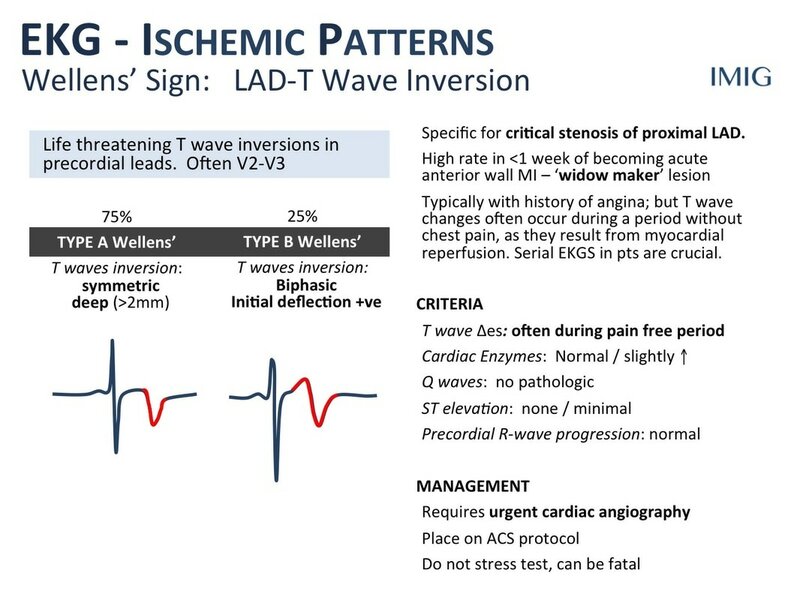 Inferior wall STEMI also noted in ECG #1 and #2. Wellens' syndrome: Subacute critical occlusion of proximal LAD or mid-LAD. Avoid excercise stress test. 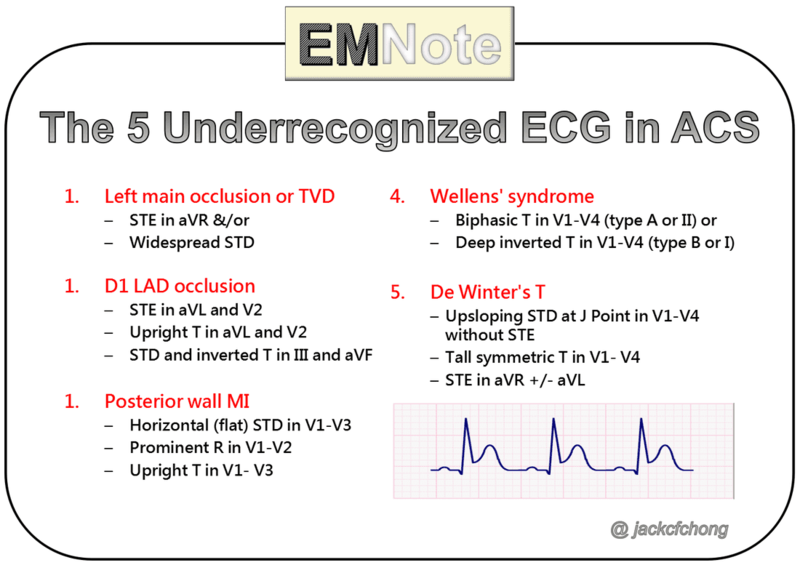 De Winter's T: Anterior STEMI equivalent due to acute proximal LAD occlusion.